We offer a full preparation and restoration service. We are also agents for Scholar Engines, Millers Oils and we hold stock of Crossle parts. We specialise in FF1600 and Sports 2000. GT Covers have over 50 years experience in PVC and canvas fabrication. At our workshop in Sutton on Trent, we use the latest in high frequency PVC welding technology to create bespoke PVC covers for a wide range of domestic, sporting and industrial needs. 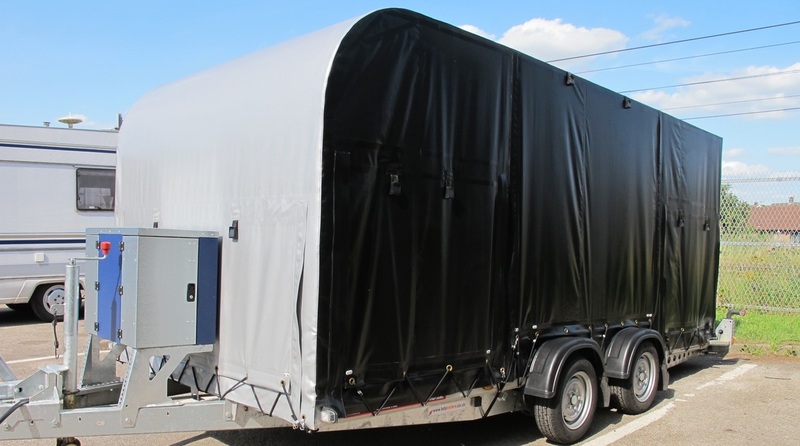 We have covered hundreds of trailers for motorsport, personal and commercial use. We are distributors for the PRG range of trailers and also our own GTX3 modular trailer system. We also hold stock of used and ex-demo trailers. If you are thinking of selling your trailer, please contact us for a valuation. We have a variety of different trailer types to hire, from small box trailers to tri-axle car transporters. Please visit our dedicated website to learn more about the trailers we can offer.